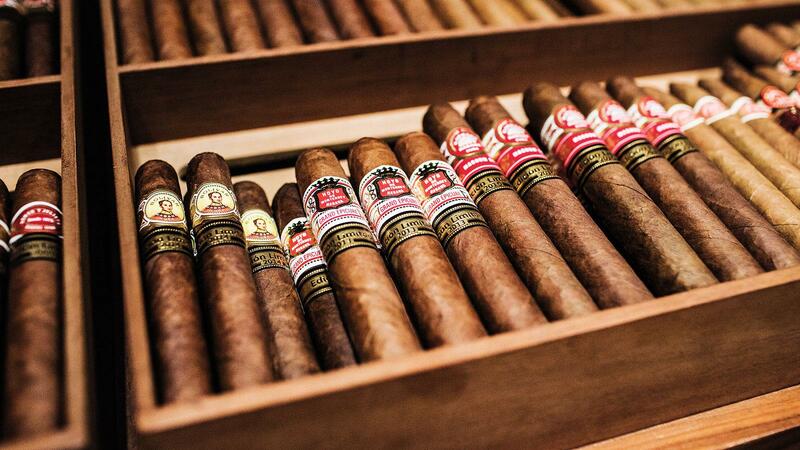 Printed as "The New Rules On Cuban Cigars"
The traveler stood in line at JFK. In his bags, he had $2,000 worth of Cuban cigars that he had purchased in London. His arrival was a week after the U.S. Treasury had further loosened the rules for American citizens importing Cuban cigars and rum into the United States. Still there were limits: $800 worth or 100 cigars to come in without duty. The traveler was honest. He declared everything, expecting to pay a four-percent duty on the cigars in excess of the limits. "Have a nice day," said the customs agent. "We're giving you a holiday on the extra duty." Just a few weeks later, I stood in the Global Entry customs line in Dallas. For the first time since I began working at Cigar Aficionado, I carried in my bag Cuban cigars—four sticks purchased in Mexico. Now understand, this scenario used to set off a routine that went something like this: I would approach the customs counter, hand over my passport and wait for the inevitable question: "So, Mr. Mott, which magazine do you work for?" My response was always to cut to the chase: "I don't have any cigars, sir." This time, no one even asked me if I had cigars, but rather, I got a perfunctory, "Welcome to the United States." Each example illustrates how customs greetings have changed in a few short years for Cuban cigar enthusiasts returning to the United States. The shift began on December 17, 2014, when President Obama announced that he was moving toward normalizing relations with Cuba, and was committed to finding ways to allow more U.S. travel to Cuba without violating the parameters of the Cuban trade embargo, which is subject to Congressional oversight. Since then, significant moves have been made: restrictions on people-to-people tours have been loosened; scheduled air flights now fly between a number of U.S. cities and several destinations in Cuba, including Havana; and U.S.-flagged cruise ships regularly dock in Havana's harbor. In addition, the U.S. Interests Section in Havana was upgraded to a full-fledged embassy last summer and earlier in 2016, President Obama visited Cuba with his family. Still the rules governing importation of Cuban cigars and rum were fairly restrictive: $100 worth of one or the other or both products combined, and only for those who were travelling between Cuba and the United States, with no purchases allowed in other countries. Even then, only authorized travelers to Cuba could take advantage of the privilege to return with barely a handful of cigars. But on October 14, 2016, the rules changed in ways that no one had anticipated. Suddenly, U.S. citizens were allowed to legally buy Cuban cigars or rum in any country, including Cuba, and bring them back to the United States under the same limits applied to all tobacco or alcoholic beverages: $800 worth or 100 cigars (whichever is less) to come in without fees; and one liter of alcoholic beverage. Prior to that new rule, Americans could not buy Cuban product anywhere in the world without breaking the law. Here is how the regulations apply in general. Any traveler returning to the United States is eligible for a personal duty-free exemption on most goods. If you have been out of the country for more than 48 hours, and have not been out more than once in the previous 30 days, the amount is typically $800. The same limits now govern Cuban tobacco products. Any tobacco product exceeding the limit is subject to a 4-percent duty. Alcohol has long been an exception. Most departure points are limited to one liter regardless of price. Although certain Caribbean nations are granted a two-liter limit, Cuba is not one of those. Sounds simple, right? Well, the law gets a little vague, if you want to extend the limit by paying duty. The law states very clearly: "Authorized travelers may also return to the United States with alcohol and/or tobacco products acquired in Cuba as accompanied baggage for personal use." (The same language applies to cigars bought in other countries.) The phrase "personal use" means that any customs agent is within his or her rights to question your intentions if you return with, say, a suitcase filled with 50 boxes of cigars. While the regulations also make it very clear that you may give your cigars to a third party, if you sell them or receive any kind of compensation in return for them, you are breaking the law. Another issue that remains problematic is whether or not cigars acquired during the last 50 years and kept in storage outside the United States, are now eligible to be repatriated under the current regulation. The question was put to four different agencies: the U.S. Treasury, the Office of Foreign Assets Control, Customs and Border Patrol and the Department of Homeland Security. One office replied, "This response is off the record. I have no further guidance to give you on your subject." This may be an overthinking of the issue, but it is possible that a product purchased while it was illegal to do so might be subject to a different, perhaps stricter, interpretation of the law and confiscated if you tried to enter the country with it. Until there is a better answer, I would remain cautious bringing home boxes of 30-year-old Cuban Davidoffs. Another point: If you are leaving Cuba with more than 50 cigars, or two boxes, be sure to have the invoices handy to show Cuban customs officials you purchased them from an official source, and are not trying to smuggle out contraband. One traveler in November had 450 cigars, some unbanded and others in boxes, and he was asked to produce documentation. But he also received the duty waiver in Miami at U.S. Customs. Even as the rules have made it easier for individual Americans to acquire and return home with Cuban cigars, the prohibition remains in place on importing those same cigars for commercial use. Craig Cass, a retailer in North Carolina, says he has been getting frequent questions about "why aren't you selling Cuban cigars?" He has to explain that the trade embargo with Cuba is still in effect. Another retailer, Curt Diebel, of Kansas City, reported that same situation in his stores, but also added that no one is coming in waving their Cuban cigar around saying they bought them on their last trip out of the country. There's also another reality for everyone to consider. As this article goes to print, the United States is less than a month away from President Donald Trump taking office, and he promised on the campaign trail to undo all of President Obama's executive orders. Presumably those orders that changed the rules on travel to Cuba would be included. Trump also promised in November to get tough again on Cuba. Presumably, if he does repeal those orders, then the rules will revert back to the previous administration's guidelines regarding purchases of Cuban products, including cigars and rum. It could mean a complete prohibition on cigars and rum or perhaps the lower $100 limit allowed for authorized travelers to Cuba. Third-country purchases would probably be eliminated too. If that happens, American cigar smokers will have only enjoyed a brief window when it was legal to bring significant quantities of Cuban cigars into the United States. Stay tuned.